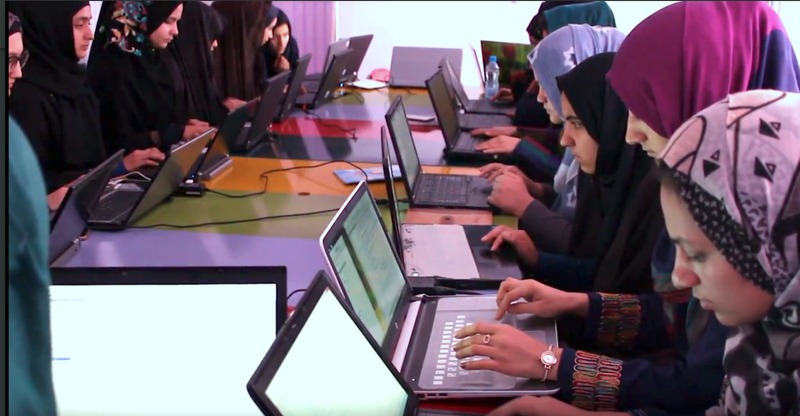 HERAT -- Five women from Herat Province are providing a space for women to learn various technology and computer skills free of charge. The women, former classmates and computer science graduates of Herat University, opened the Bibi Sarai centre a year ago with their own money. The goal is to introduce women of all ages to computers and the internet. "We had many problems and limitations, including the lack of women's internet cafes where we could work on our school assignments and projects," said Sumaya Rawan, 25, director of the Bibi Sarai centre. "After graduating from university, we decided to create an environment where we could resolve women's problems with regards to technology," she told Salaam Times. So far, more than 100 women have studied at the centre. Training courses take three to four weeks to complete, and 30 to 50 women are trained in each course. In addition to computer training, the centre offers classes such as resume writing and social networking as well as help with high school and college projects. The centre also has a library and offers chess classes. The centre is named in honour of First Lady Bibi Gul and "all the strong inspiring Afghan women leaders that preceded her", according to its website. Young women in Herat face serious restrictions to their access to internet cafes to work on school projects. "At Bibi Sarai, one of our goals is to introduce the latest technological methods to the women and to empower them, so that they advance in the field of technology on the same level as men," Mursal Jami, 24, one of the founders of Bibi Sarai, told Salaam Times. "Prior to coming [to Bibi Sarai], I had no knowledge about computers and I could only turn computers on and off," said Narges Tawakkoli, 23, an English literature student at Herat University. "After attending this centre, however, I learned [how to use a] computer very well and I have been taught many things that I was not able to understand before," she told Salaam Times. "We have learned programmes that can help us prepare our university projects," she said. Gul Pari Husseini, 22, another English literature student at Herat University, who is originally from Ghazni Province, said she had "no prior knowledge of computers" when she entered university last year. "I wasn't familiar with computers prior to coming to the Bibi Sarai centre," she told Salaam Times. "In this centre, however, I learned programmes such as Windows, Word and PowerPoint. I now can prepare slides and work on my own projects." "I can prepare the best slides," she said. "This initiative by these young women is commendable," Jilani Farhad, a spokesman for the Herat governor, told Salaam Times. "Through relevant organisations and ... the Education Directorate, the university, etc., as well as private agencies, we try to use all available opportunities to further develop the activities of the [Bibi Sarai] centre," he said. Building women's and girls' capacities in technology can improve their lives tremendously, say women's rights activists. "In Afghanistan's society, which is traditional and highly patriarchal, women have always been deprived of knowledge, especially of modern [technology] such as computers and the internet," said Maria Bashir, a women's rights activist and former chief prosecutor general of Herat Province. "The Afghan government ... is responsible for providing girls with the necessary facilities and opportunities to learn modern knowledge and technology," she told Salaam Times. "It is very promising that women themselves are working to improve their lives," she added. "Women and girls can study and learn knowledge and science alongside their male counterparts [and can] play a valuable role in the prosperity and development of Afghanistan," she said. The hero of the computer game, created by a team of women in Herat Province, is an Afghan soldier who fights the country's enemies and destroys opium poppies in Helmand Province. 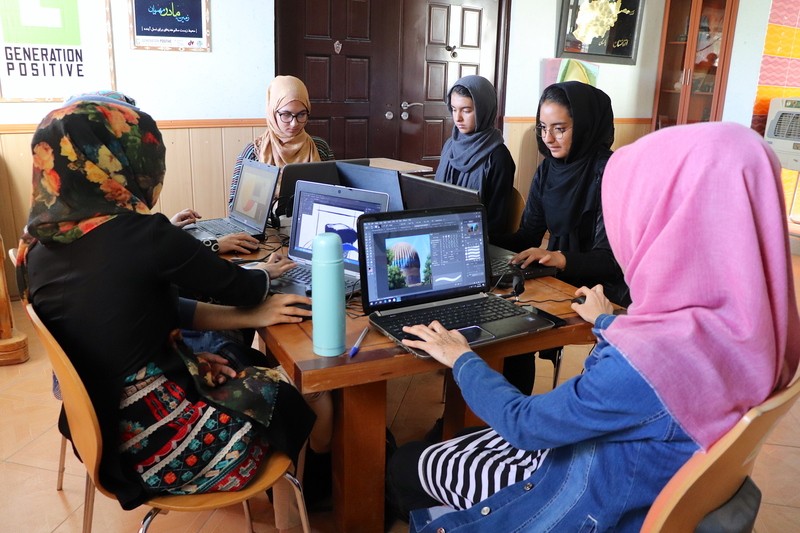 "We want to introduce the culture of Afghanistan to the world through animation," said Sara Barakzai, 24, the founder of the training course.